Lang-MN, the newest hard red spring wheat variety released by the University of Minnesota. Jim Anderson, University of Minnesota wheat breeder, Department of Agronomy and Plant Genetics, says: "In state trials, Lang-MN yielded equal to the popular varieties Faller and Prosper, but with higher protein. The heading date of Lang-MN is similar to Faller. It possesses a good disease resistance package with an excellent rating for resistance to scab, stripe and stem rust. Plus it has moderate resistance to leaf rust and bacterial leaf streak. Lang-MN is about an inch taller than Faller with similar straw strength. It has good test weight and pre-harvest sprouting resistance. Overall it is a well-balanced variety that has exhibited good end-use quality characteristics." Jochum Wiersma, University of Minnesota Extension Agronomist, echoes Jim Anderson’s comments and stresses that, unlike Faller and Prosper, Lang-MN is not susceptible to stripe rust. Although stripe rust is an intermittent disease problem, control can be a bit challenging, as the timing of a fungicide application to control stripe rust effectively does not always coincide with the optimum timing to control of other leaf diseases or scab. The new release is named in honor of Ben Lang, MCIA past president and chief executive officer. Before becoming president of MCIA, Lang had worked with MCIA for over 25 years, originally joining the organization as a seed analyst and field inspector. During his career, he served the association in several senior management positions, culminating in leading the organization until his retirement in 2015. Roger Wippler, MCIA, says, "Wheat seed certification has been a key part of MCIA for over 100 years and Ben strongly believed in the benefits certified seed provided to farmers. He truly enjoyed working with seed producers from around the state and was very humbled when notified that the variety would be named Lang-MN." University of Minnesota experts will provide information relevant to the current growing season and answer questions. Bring samples from your fields for diagnosis and discussion. Lang-MN joins several other recent University of Minnesota spring wheat varieties; Shelly (2016), Bolles (2015), Linkert (2013), and Rollag (2011). These varieties offer growers a good combination of strong characteristics and perform well across the upper Midwest. More detailed performance data and comparisons of previously released varieties can be found on the Minnesota Agricultural Experiment Station website at www.maes.umn.edu. Prior to being formally named, Lang-MN was tested as MN10261-1. Researchers in the College of Food, Agricultural and Natural Resource Sciences at the University of Minnesota have been developing and evaluating wheat varieties since 1889. 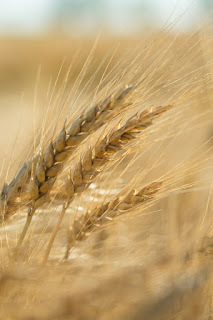 Breeding and evaluation is supported in part by funding from USDA, the Minnesota Wheat Research and Promotion Council, and the Small Grains Initiative, administered by the Minnesota Agricultural Experiment Station. ‘Lang-MN’ will be distributed through Minnesota Crop Improvement Association members with seed available for planting in spring, 2018. Visit the MCIA website - www.mncia.org - where a list of Certified seed producers will be available in September. Or contact MCIA at 1-800-510-6242.